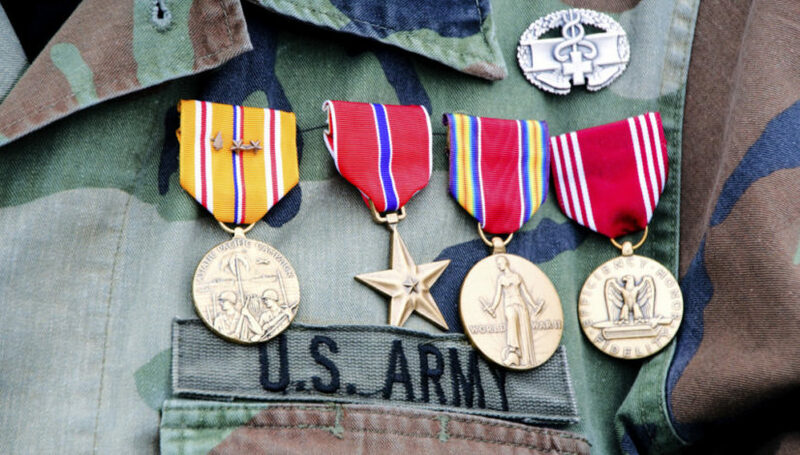 There are currently over 25 million veterans alive in the United States. There are over 9 million surviving spouses of veterans currently living in the United States. Many of these veterans and surviving spouses are receiving long term care or will need some type of long term care in the near future, and there are funds available from the Veterans Administration (“VA”) to help pay for that care. Unfortunately, many of those who are eligible have no idea that any type of benefits exist for them or that an attorney can help them become eligible. Service Pension. The VA provides a monthly cash payment to wartime veterans who meet active duty and discharge requirements, who are either 65 or older or disabled, and who have limited income and assets. Service pension is also available to a surviving spouse of a wartime veteran. An unmarried veteran can receive up to $1,075 per month, a married veteran can receive up to $1,408 per month, and a surviving spouse can receive up to $721 per month (with additional payments available if dependent children are present in the home). Pension with Housebound Allowance. A slightly higher monthly payment is available to wartime veterans (who meet the same service requirements as Service Pension) but who are confined to their home for medical reasons. An unmarried veteran can receive up to $1,314 per month, a married veteran can receive up to $1,647 per month, and a surviving spouse can receive up to $881 per month (with additional payments available if dependent children are present in the home). Pension with Aid and Attendance. 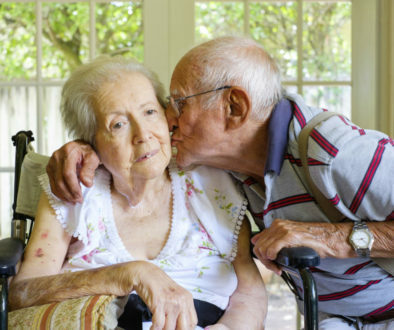 The highest monthly benefit is available when a wartime veteran or surviving spouse requires the assistance of another person to perform activities of daily living, is blind or nearly so, or is a patient in a nursing home. This benefit, often referred to simply as “Aid and Attendance” is the most widely known and talked-about benefit as it offers the highest possible monthly payment. An unmarried veteran can receive up to $1,794 per month, a married veteran can receive up to $2,127 per month, and a surviving spouse can receive up to $1,153 per month (with additional payments available if dependent children are present in the home). Planning Note: While Aid and Attendance is the most popular VA benefit, it is important to remember that Service Pension is available to wartime veterans or surviving spouses who do not require assistance with activities of daily living but are either disabled or 65 or older. Planning Note: Many times the most difficult task in this area is to reduce a claimant’s assets down to the applicable level (or what one hopes will be acceptable to the VA). The assistance of legal counsel is important to ensure the right strategies are used with minimal impact on Medicaid in the future. A veteran or surviving spouse must have Income for VA Purposes (“IVAP”) that is less than the benefit for which he or she is applying. IVAP is calculated by taking a claimant’s gross income from all sources less countable medical expenses. Countable medical expenses are recurring out-of-pocket medical expenses that can be expected to continue throughout a claimant’s lifetime. If a claimant’s IVAP is equal to or greater than the annual benefit amount, the veteran or surviving spouse is not eligible for benefits. The Table below shows the applicable income and pension amounts for both veterans and surviving spouses. If a claimant qualifies for regular pension and is housebound, the claimant’s maximum allowable income increases (as does the annual benefit amount) to the special monthly pension. The VA defines housebound as being substantially confined to the home or immediate premises due to a disability that will likely remain throughout the claimant’s lifetime. A veteran with no dependents who is housebound is eligible for benefits of up to $15,773 in annual income. To illustrate, a veteran with exactly $15,773 in annual income would not be eligible for a special monthly pension for being housebound. However, if that veteran was able to show annual income of $20,000 and unreimbursed medical expenses of $26,000, the veteran would be eligible for $15,773 in special annual pension (paid on a monthly basis) because the veteran has negative IVAP. A surviving spouse with no dependents who is housebound must have annual IVAP of less than $10,580. Planning Note: The maximum pension for a married veteran is $2,127 per month ($25,525 per year), while the maximum pension for a veteran’s widow is $1,153 per month ($13,836 per year). The VA pays this pension directly to the claimant regardless of where the claimant is living. Planning Note: The client’s advisors must work together to determine the best combination of strategies and financial products that will gain eligibility for special monthly pension but not disqualify the client from Medicaid. An Illustration. Robert, age 82, is a World War II veteran who is widowered. Robert’s total monthly income consists of Social Security income of $1500 per month. Robert was diagnosed last year with dementia and now lives in an assisted living facility as he needs help bathing, dressing and taking his medication. The assisted living facility costs $3000 per month. Robert has liquid assets totaling $100,000. The maximum monthly benefit that Robert could qualify for is $1,794 of pension with an allowance for aid and attendance. Because Robert has a negative IVAP of $1500, he is eligible for the full pension with aid and attendance benefit. However, his assets are too high. But because Robert has negative income of $1500, one option may be to take a portion of his liquid assets and convert them into an income stream through the use of an immediate annuity or promissory note. As long as Robert’s IVAP remains a negative number or $0, he can qualify for the full pension with aid and attendance amount. Planning Note: Benefits are retroactive to the month after application submission. Therefore, it is imperative for potential claimants to seek legal help immediately to become eligible and to apply as quickly as possible. Time is of the essence for veterans or surviving spouses who may be eligible for pension benefits. It is imperative for those who work with veterans or surviving spouses of veterans to be aware of these benefits and to help potential claimants obtain legal help to qualify for pension benefits. If you know of someone who may be eligible, please give me a call.